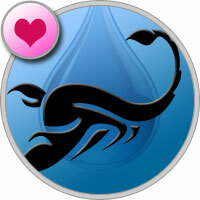 Horoscope for Scorpio advises to enlist the support of a partner. Perhaps you yourself will be able to cope with all the difficulties, but the help of a loved one will be very helpful. A good day for declarations of love and marriage. If you have not yet decided on a responsible step, just explain your feelings. Energy number 1 enhances sexual attractiveness. However, partners must control their desires, the risk of slipping into vulgarity is too great.